THE ICONIC LANCASTER: In Oldham, during the Second World War, there were 29,000 people employed building Lancasters, including night shifts and sub-contractors across the town. THE SEVENTIETH anniversary of the Lancaster Bombers’ daring Dambuster Raid has rightly given focus to the fight to win the Second World War – and also to our Borough. The Oldham Chronicle last week featured the tales of two heroic Oldhamers: Bill Howarth, who survived the operation and later died aged 68, and Donald Hopkinson, who lost his life during the return leg aged just 22. 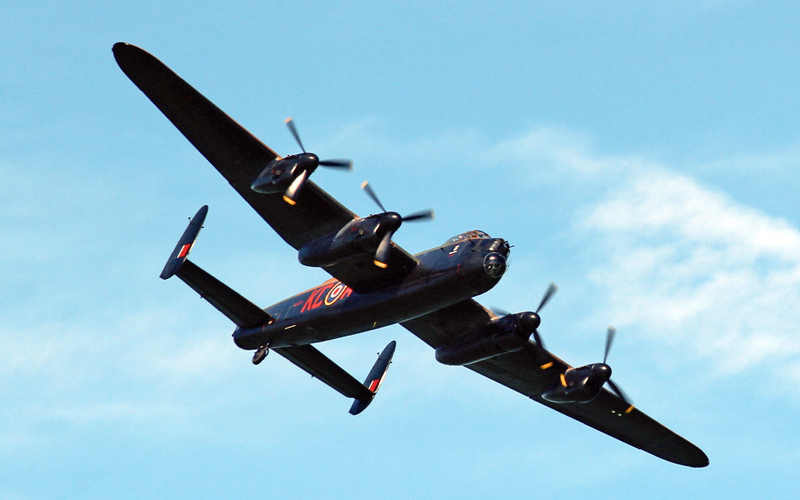 Many men and women from our district worked on the production of the Lancaster at BAE Systems. Their work demonstrated the scale and quality of our engineering skills – and the drive to produce the best. Although the Lancaster is now in the history books and the former BAE Systems site has been vacated – and soon to be home to the next generation of engineers under the ownership of NOV MonoPumps – it is still at least remembered by name at the former BAE Systems sports and social club at the Lancaster Club. That building is now under Oldham Council ownership occupying the grade II-listed Failsworth Lodge off Broadway, which was built in 1770 as a hunting lodge for Captain Birch. I haven’t lost sight of my own ambition to see the Lancaster Bomber remembered here in our Borough: ideally in Chadderton. Although siting a replica of it somewhere might be some time off, if it happens at all, we have started with a small gesture now by featuring the Lancaster on the boundary signs into Chadderton. These signs are only a token, but I hope people will drive by and take a sense of pride from them. Perhaps our up-and-coming generations might look up and say ‘Well I never knew that’ or even ask ‘What’s a Lancaster Bomber?’ and go to find out for themselves. The Lancaster gives us a place in the history books that we can be proud of. We are an industrious, productive and imaginative Borough made up of seven distinct townships each with its own identity and own claims to fame. We recently launched our consultation with the public on how we might best recognise our place in history in Oldham town centre through the Borough Life magazine and online here. You can have your say on which category you feel would best represent our history. You will notice that we have included a broad range of categories to give choice, but we haven’t given an option to say ‘no’. Why? The reason is simple. The ‘no’ campaign has won hands down for decades. It’s time we stopped hiding our history and put it on show for the next generations to see and, more importantly, to learn from and respect a Borough which once led the world in many fields. Finally, following the stunning £1 million donation from Norman Stoller to kick-start the Oldham Enterprise Trust we’re now putting the finishing touches to the programme to involve and support young people into business, self-employment and maybe even devising the next world-changing invention. Watch this space for more details soon: including how you can get involved. This shows that there are currently more than 600 vacancies across Greater Manchester in a range of careers and industries. Interestingly for every Oldham vacancy the average number of applicants is just over 10 per job. When you compare that with low-paid and low-skilled jobs elsewhere attracting many hundreds of applicants, I see no reason why a young person wouldn’t jump at the chance to set out on a new career. As someone who started my working life as an apprentice I can say with absolute confidence that it is life-changing when the right employer gets together with a young person and moulds them into a rounded and productive employee. A wonderful piece of aeronautical engineering [Lancaster Bomber], of that there can be no doubt. Nor can there be any doubt as to its pivotal role in the Second World-War. But please, can we not lose site of its true nature and purpose: a means of raining death and destruction on ones fellow humanity.